According to Wikipedia Sierra is “(version 10.12) is the thirteenth major release of macOS (previously OS X), Apple Inc.’s desktop and server operating system for Macintosh computers. The successor to OS X El Capitan, it is the first version of the operating system issued under the June 2016 rebranding as macOS. Sierra is named after California’s Sierra Nevada mountain range. Its major new features concern Continuity, iCloud, and windowing, as well as support for Apple Pay and Siri.”. 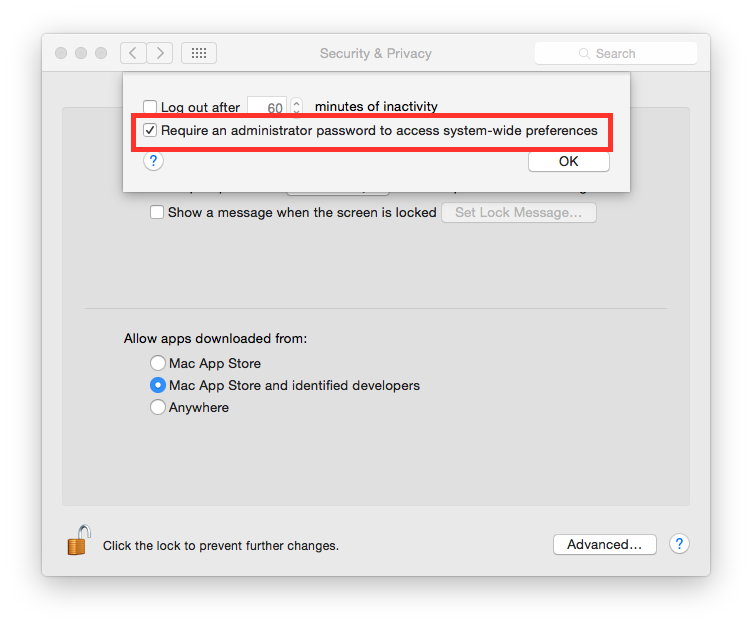 It is suggested to keep the /Applications/ directory as clean as possible, having a separate Applications directory for your apps. Just create a folder named “Applications” in your home directory (or where you like) and install (move) all applications there. Apps installed via App Store or some special apps cannot live in a custom Applications folder, so you have to keep them in the original Applications. 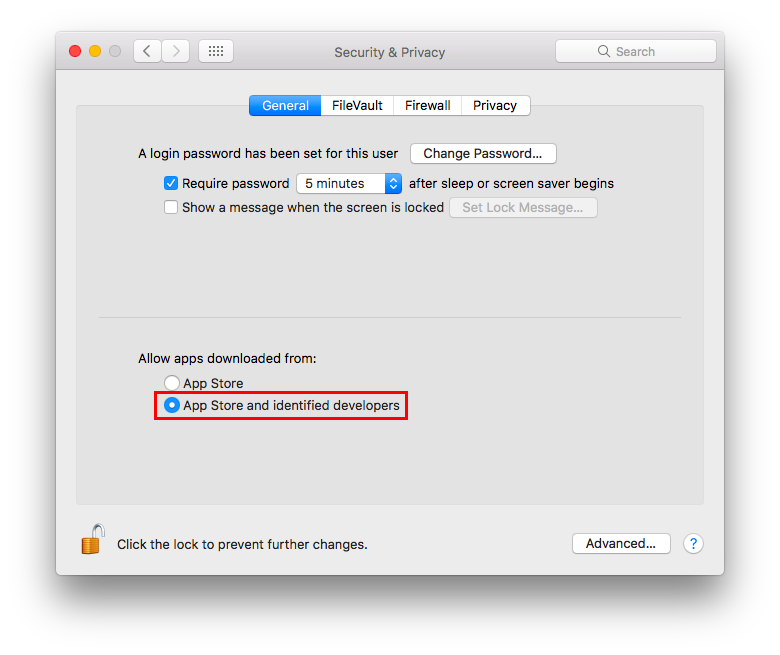 Set “Allow apps download from” to “Mac App Store and identified developers” or if you want to be more strict and you install applications only via App Store set it to “Mac App Store”. 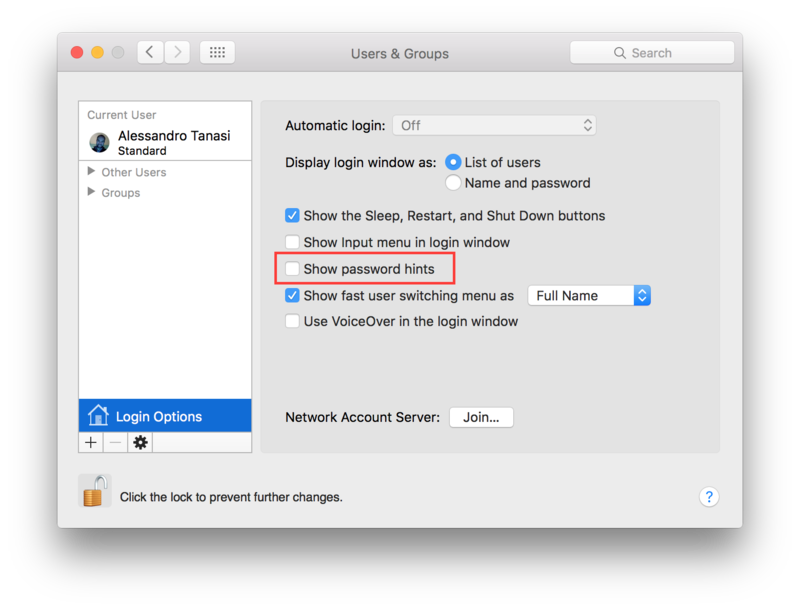 In OS X Sierra is now not possible to choose to run unsigned code, it was in OS X El Capitan. By default OS X creates metadata files in each directory to speed up browsing. These files could leak metadata, it is suggested to avoid creation of .DS_Store and AppleDouble files. 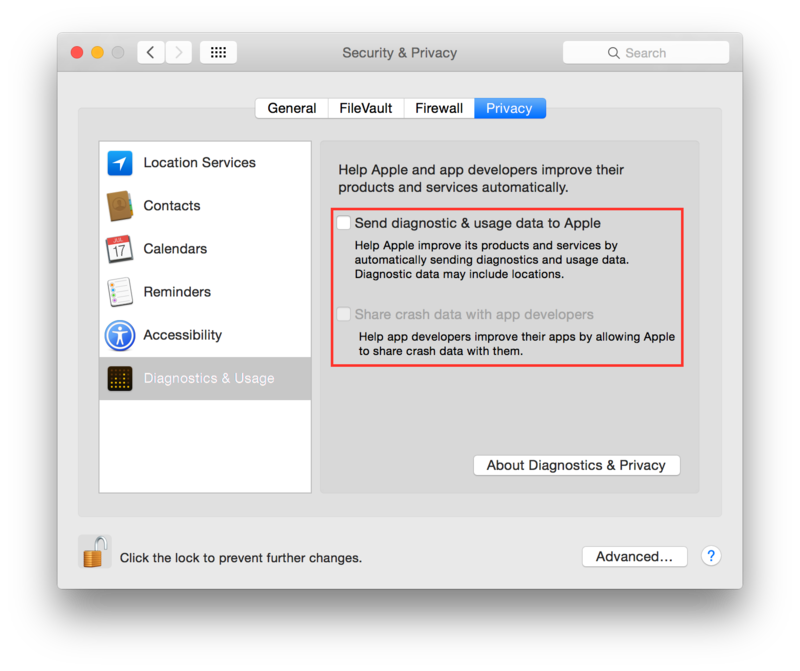 Un-check “Send diagnostic & usage data to Apple”. Un-check “Share crash data with app developers”. Un-check “Allow guests to log in to this computer”. 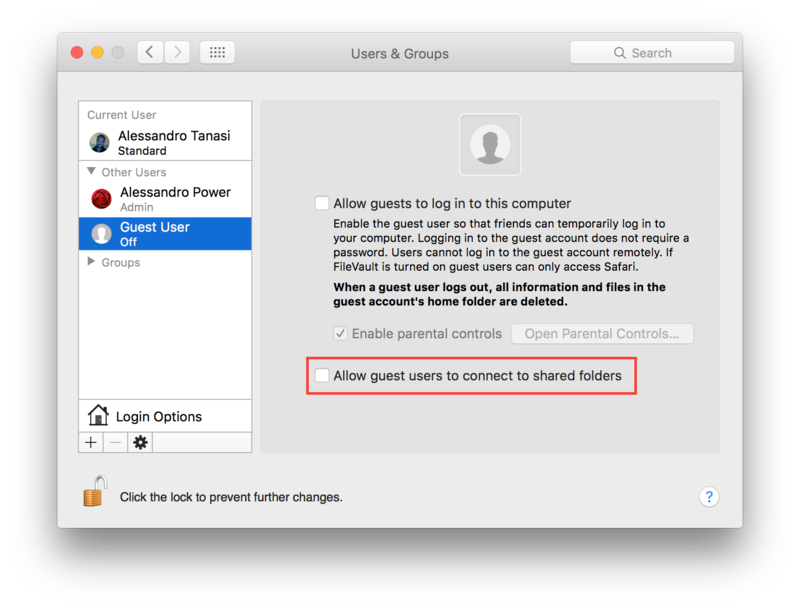 Un-check “Allow guest users to connect to shared folders”. 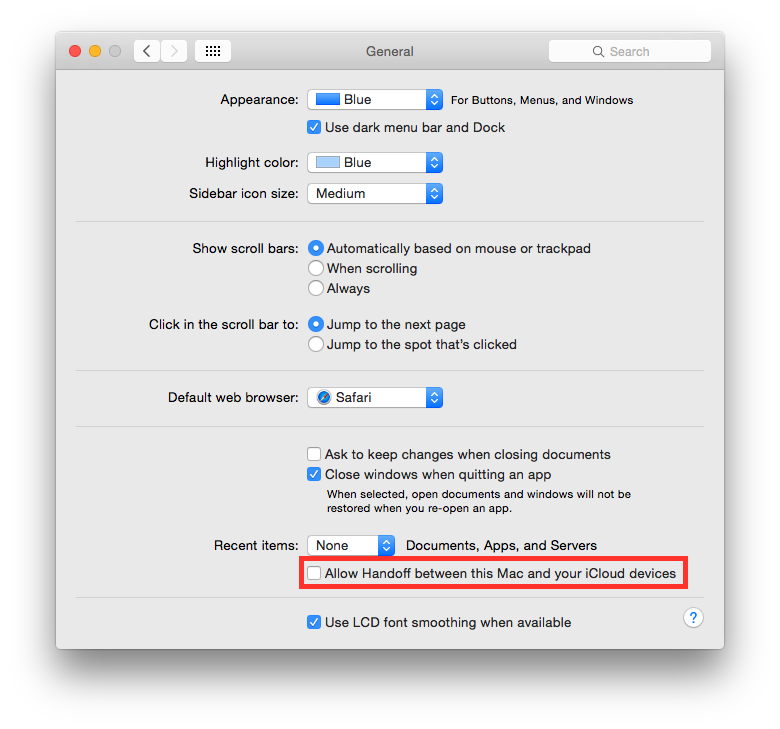 Un-check “Allow Handoff between this Mac and your iCloud devices”. Select “System Services” and click “Details…”. It is suggested to disable localization for all services, if not needed. Un-check “Allow Spotlight Suggestions in Spotlight and Look Up”. 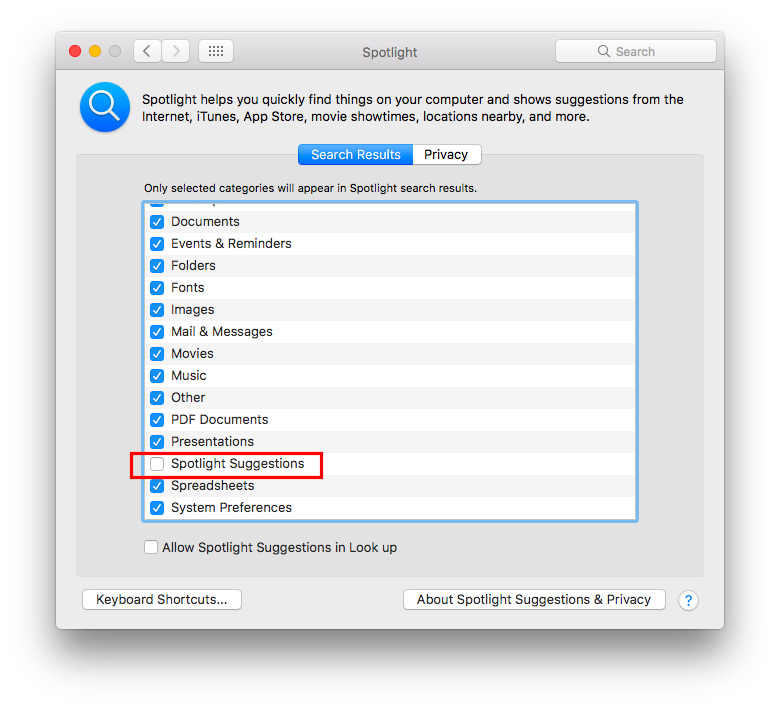 Un-check “Spotlight Suggestions” from the list of results categories. Using “Block all incoming connections” will block all incoming connections to your host. This will block also all sharing services, such as file sharing, screen sharing, Messages Bonjour, iTunes music sharing and other features. If your host is providing any kind of service, this option is not suggested; you should disable it. 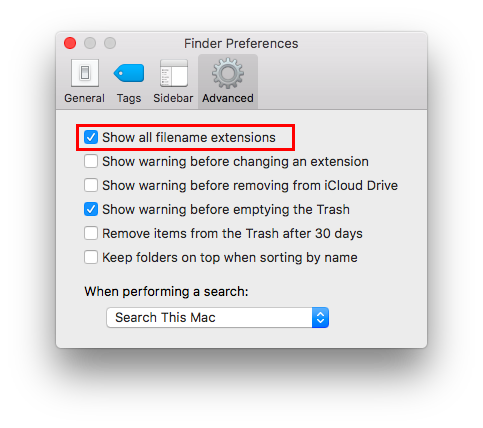 When you delete a file, OS X only deletes the index entry for the file, which tells the system the file’s contents are free to be overwritten; however, the data still remains and may be recovered using a forensics software. It is a good practice to always empty your trash securely. Your data will be securely wiped from disk in an irreversible way. 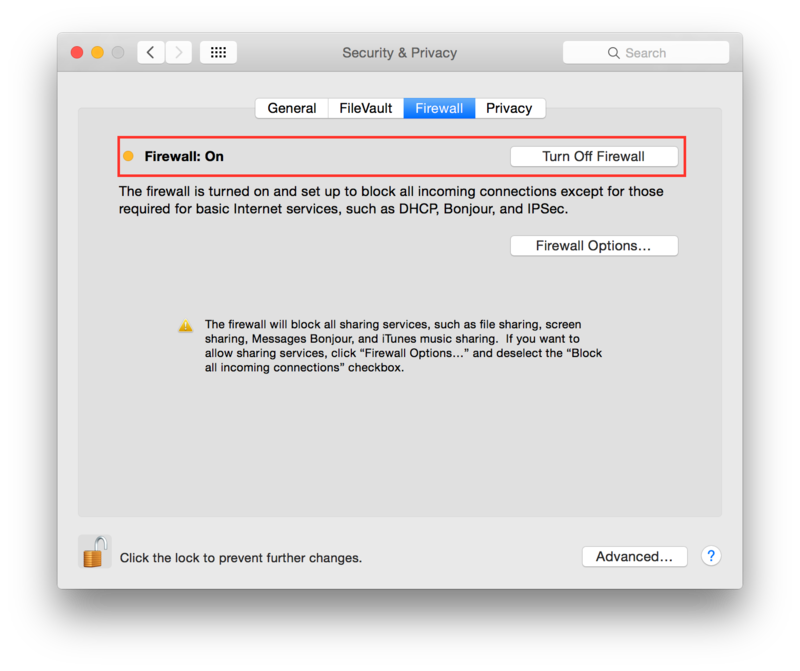 In the previous OS X releases there was an option to enable safe delete, Apple has removed this feature in OS X El Capitan. However, you can use command line tools. Overwrite regular files before deleting them. Files are overwritten three times, first with the byte pattern 0xff, then 0x00, and then 0xff again, before they are deleted. Change DRIVE_NAME to the name of the mount point. Homebrew is a quite common third party tool in OS X systems. hibernatemode = 0 by default on desktops. The system will not back memory up to persistent storage. The system must wake from the contents of mem- ory; the system will lose context on power loss. This is, historically, plain old sleep. hibernatemode = 25 is only settable via pmset. The system will store a copy of memory to persistent storage (the disk), and will remove power to memory. The system will restore from disk image. If you want “hiberna- tion” - slower sleeps, slower wakes, and better battery life, you should use this setting. Enabling an optional firmware password offers an increased level of protection. A firmware password is set on the actual Mac logicboards firmware, it is an EFI password which prevents your Mac from being booted from an external boot volume, single user mode, or target disk mode, and it also prevents resetting of PRAM and the ability to boot into Safe Mode. Years ago firmware passwords could be easily bypassed by removing memory. These days Mac’s firmware password isn’t easily reset. 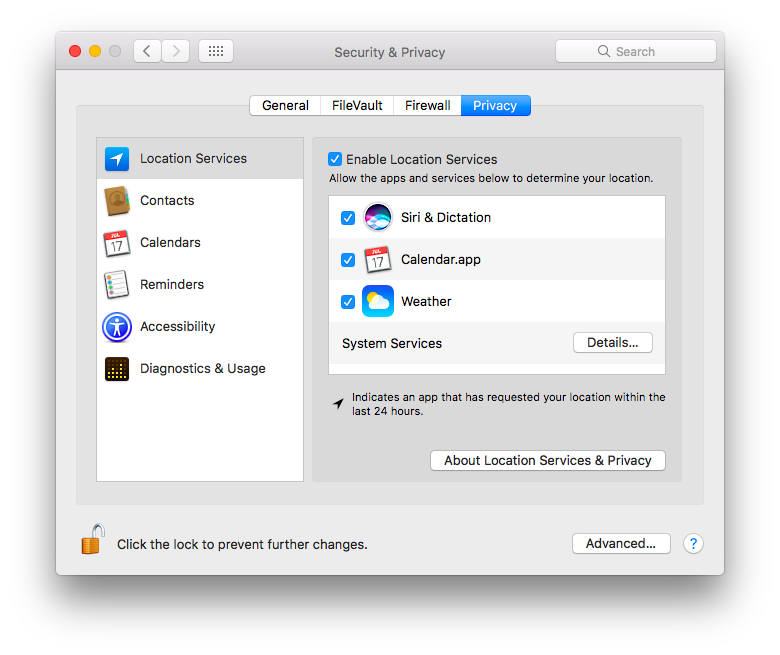 Apple only suggests to bring your Mac in to an authorized Apple Service Provider and have them do it there. 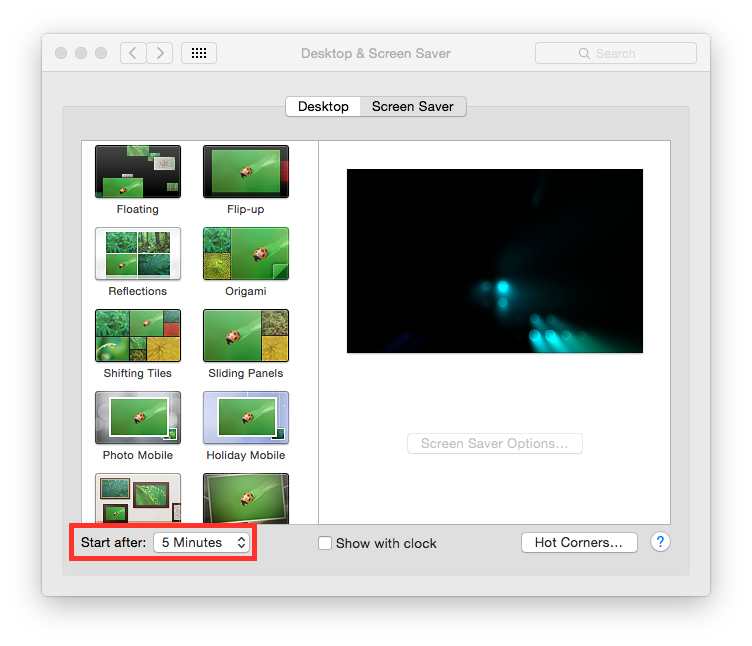 Power off your Mac and turn it on. Activate Recovery Mode (holding down the Command and R keys at boot). After a while OS X Utilities will appear. Click on ‘Turn On Firmware Password’ and follow the wizard. Select “System Services” and click “Details…”. 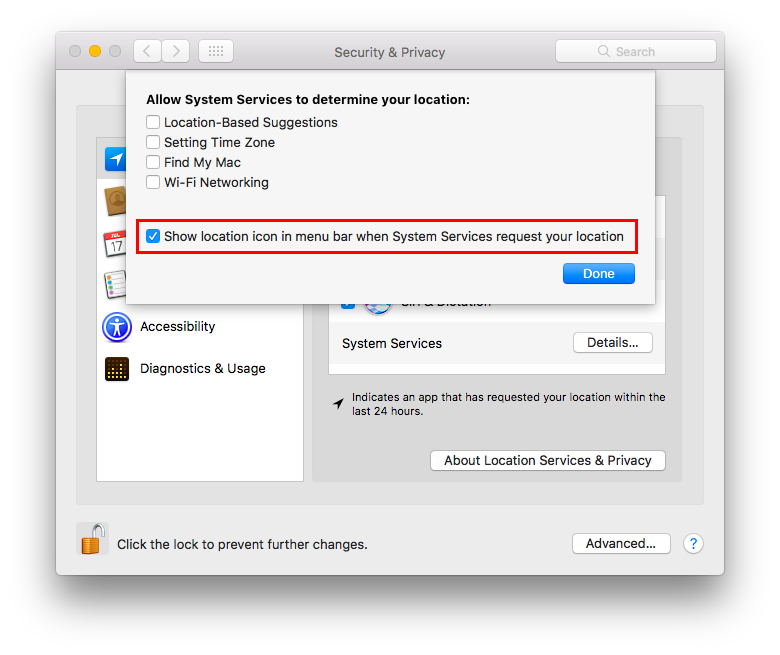 Check “Show location icon in the menu bar when System Services request your location”. It is suggested to use different accounts for administration and normal use. Create an account with admin privileges for special tasks and maintenance and a regular user for your normal use. Don’t use the same password for both.